Located on Boulevard St Germain (next 7th arr. ), Near the Musée d'Orsay and the National Assembly, the Mucha Coffee owes its name to a Czech painter Alfons Mucha poster (1860-1939) considered the master of Art Nouveau and whose works adorn the walls of the institution. The cozy decor, with its purple chairs, gives a warm appearance. The soft lighting gives the establishment a chic and intimate atmosphere, a lounge side ready to relax and enjoy a cocktail in the late afternoon or evening dinner. 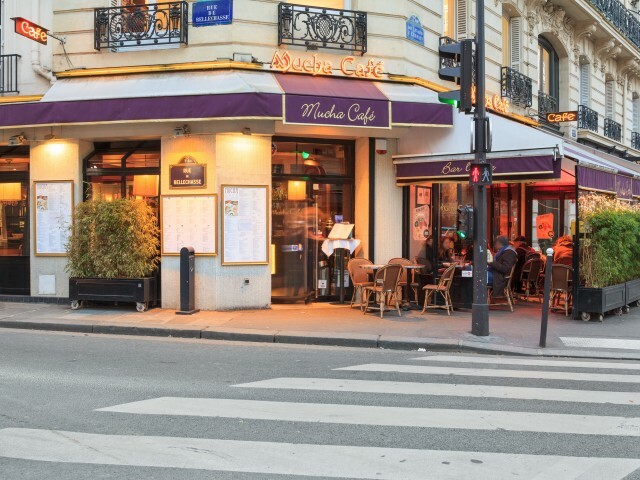 Mucha addresses both customer area and the many tourists who come to the Orsay Museum nearby, or the Rodin Museum and the National Assembly in less than 5 minutes.